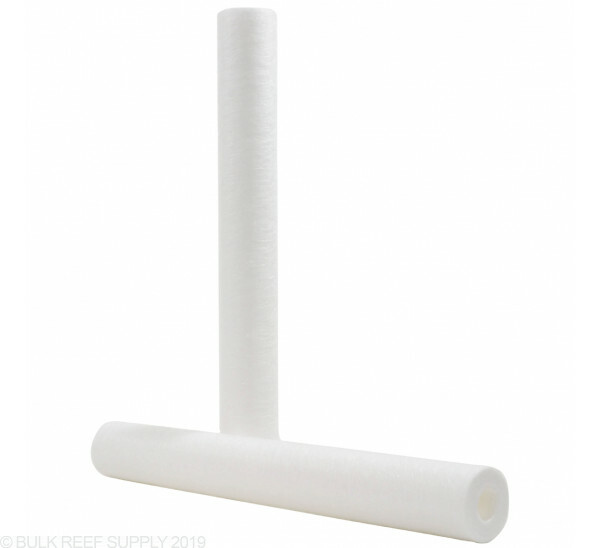 Most sediment filters in aquarium RO systems are inexpensive surface filters that quickly lose their effectiveness when the surface becomes clogged. Purtrex Depth Sediment filters are true graded density filters that capture larger particles at the surface and smaller particles towards the center. This means the Purtrex Depth Sediment Filter will trap particles throughout the entire thickness of the filter. We recommend changing sediment filters when they visually become dirty or a noticeable drop in pressure is noticed. Many cartridges claim to be depth filters, but to be a true depth filter, a cartridge must be able to retain contaminants throughout the entire cross section of the filter. A graded density allows larger particles to be trapped near the surface while smaller particles penetrate the larger open areas to be trapped nearer the center of the filter in the smaller openings. Without graded density, a so-called "depth" filter will operate in practice only as a surface filter. The Purtrex filter has the graded density that is required to be a real depth filter. The Purtrex depth filter is an exceptional value for general applications where long life, high purity, and low change-out frequency are required. 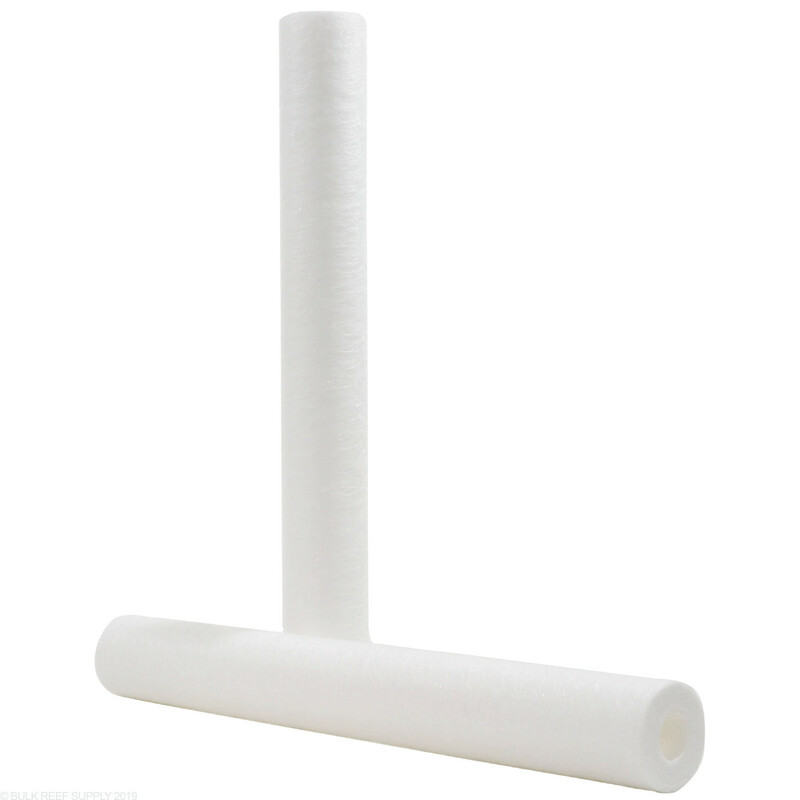 Produced through GE Osmonics patented melt blown micro fiber technology, Purtrex is a 100% pure polypropylene depth filter with exceptional dirt-holding capacity. Purtrex true-graded density filter matrix (lower density at the surface of the filter with progressively higher density toward the center) captures particles throughout the entire filter depth. This translates to longer life and fewer change-outs than existing string-wound or resin-bonded filters. Purtrex contains no wetting agents, solvents, antistatic agents, or binders, and meets the requirements of the FDA for food and beverage contact. The filter incinerates to trace ash for easy disposal. I live in an old town with old pipes and a lot of sediment in the tap water. I added a 20" pre-filter canister to my normal 10" RO system about 15 years ago. 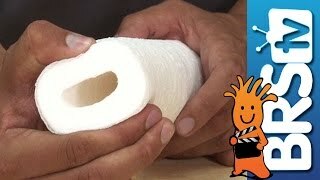 This is the best sediment filter I've found. I generally use this 20" 5-micron filter right before a 1-micron GE ROsave Z. They usually handle all the sediment for a full year. We use these filters in the first stage of our R/O system and they work great. We are on well water that is very hard and these filters help to get our water to a perfect 0 ppm after the R/O process! What size is the BRS 4 stage take? 10" or 20"
Thanks for reaching out to us! All of our BRS RO/DI systems use the 10" filters. Please let us know if you have any other questions!